By Linda Oatman High High (A Christmas Star) and Rayevsky (Squash It! A True and Ridiculous Tale) conduct an irresistibly quirky, good-natured tour of the subterranean goings-on in Gotham. Rayevsky sets the tone with his witty mixed-media illustrations, which marry urban grays and browns with zippy, funky draftsmanship in a truly original style. His every figure is full of life; even the animals have clear personalities. He divides each spread horizontally, showing the bustling city above- and below-ground. The underground scenarios include subway stations, "miles of pipes and wires," the construction site of a water tunnel, a jazz club and a shopping mall. (New Yorkers may notice that the scenes don't always match up, however: a street scene on Madison and 49th is paired with a subway station further west and downtown). High's breezy narrative does not target specific locations, yet does include marvelous details, such as a 1935 report in the New York Times of an alligator in the city sewers and the revelation that, when the circus comes to town, elephants walk through the Lincoln Tunnel (under the Hudson River). A whimsical way to savor a bite of the Big Apple. Subway musicians, sidewalk break dancing, mounted police officers, hot dog vendors, yellow taxicabs, and pigeons are all celebrated in this stylized overview of life in the Big Apple. Double-page spreads feature cleverly split illustrations that depict life both above and below the ground. For example, Rockefeller Center's skating rink provides a roof for the shops below, and a street busy with cars and trucks sits atop an equally active subway platform. 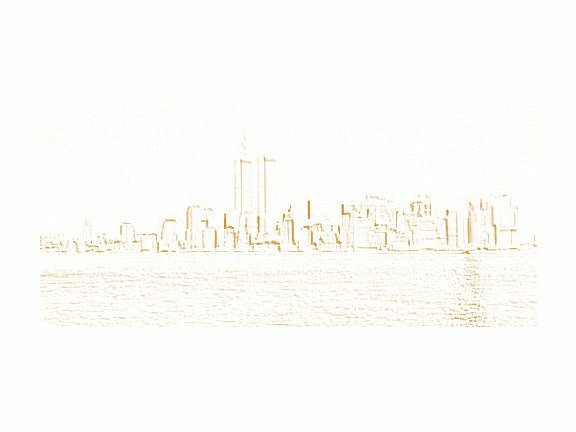 Each illustration is accompanied by five lines of rhythmic text that begin with the words "Under New York," and go on to describe that particular scene. Tidbits of history and curious facts of present-day life add to the adventure. Readers learn that in 1935, the New York Times reported the presence of an alligator underground, and that the Lincoln Tunnel serves as an entryway for elephants headed to perform at Madison Square Garden. While the illustrations are most often rendered in dark shades of grays, greens, and browns with heavy black outlines, they are never dismal. Rather, they capture the city's energy with remarkable ease. Notes from both the author and illustrator reflect infectious enthusiasm for a work worth noting. By Amy Hest Readers and listeners meet Jamaica Louise James sitting on her stoop, with a lightbulb going off over her head. This eight-year-old has had one cool idea, and that's why her name is engraved on a plaque in the 86th Street subway station--but she's going to tell the whole story from the beginning. You see, Jamaica loves to draw, and she loves her grandmother. What she doesn't like is knowing that each morning Grammy has to get up and go down to the dirty, dark subway station where she takes tokens. After Jamaica gets her big idea, she starts listening more closely to her grandmother's stories, full of colorful characters, and she begins drawing. Then, on Grammy's birthday, Jamaica and her mother get up early, go down to the subway station, and tape up the drawings, filling the station with color. The story's ending is a little truncated. We never really do see how Jamaica came to be honored with a plaque. What is evident on every page of the winsome acrylic, gouache, and watercolor art is family love and a high-voltage energy that shows what kids can do to make their world a better place when they set their minds to it. Inspired by the real-life art that decorates the 86th Street subway station. By Patricia Lakin The morning subway ride becomes a canvas for a portrait of life in the city. The author's voice is supported by a diverse cast of characters who each have their own thoughts, about everything from what is currently happening to events both prior and subsequent. As "players" exits the subway, the story follows many of them to their specific jobs. The text and cartoon-like illustrations describe the unique perspective of each within our diverse, but common culture. The story emphasizes that while each of us is different and we seem to go our separate ways, our lives are really intertwined and dependent on each other. A unique perspective that unites through our diversity. Spanish Version Also Available There is a sparrow in the New York City subway. Four passengers, whose differences in age, culture, and language may appear insurmountable, find a way to catch it before the train gets into the next station and fills with people. Torres develops her story smoothly, weaving text and images into a simple, warm, and appealing plot. The text is enriched and extended through the use of original angles and perspectives in the full-color illustrations that effectively contrast the stark reality of urban public transportation with the human concern for a vulnerable sparrow. A good choice to read aloud to young ones, though older children may prefer to enjoy the detailed illustrations in the intimacy of a private reading. The interjection of foreign phrases does not break the continuity of the plot, which is carefully maintained through the illustrations; the text of the Spanish language edition is clear, reading with the ease of a native speaker's language. By Pamela Walker Photographs and simple text describe a subway ride, including walking down into the station, going through the turnstile, waiting for the train, riding inside the crowded car, and waving to the conductor after exiting. By Andrea Davis Pinkney The best part of Christmas is the whole family savoring Mim's belly-hum jam together. But this Christmas, Pap is far away in New York City, digging a hole for something called the subway, and his family is missing him something awful. Pap aches to be home, but the heartless foremen of his dig site have decided there will be no break, not even for Christmas. It looks like it's going to be one lonely holiday for everyone.until young Saraleen and Royce send their pap a gift that may just inspire a Christmas miracle. In the Pinkneys' (Duke Ellington) hands, a tasty family tradition and New York City history make a flavorsome pairing. It's 1915, and Christmas just isn't the same when Pap must be away from Mim and their children while he works to build the New York City subway system. But a jar of Mim's "belly-hum jam" unexpectedly works its own small miracles. Vibrant scratchboard compositions skillfully contrast the dank underground construction site with the warmth of home. Desperate, driven, harassed to the breaking point, Slake decides to go underground--into the sheltering depths of the New York City Subway where he ends up staying for one hundred and twenty-one days. This is the story about survival, and about a 13-year-old misfit's attempts to find footing in a hostile and threatening world. Most adventure and survival stories pit boy against the elements, or boy against evil; for Artemis Slake, it is boy against the cruelty of his peers, or even worse, the anonymity of disinterest. When he disappears into the subway tunnels of New York, no one misses him, no one cares. But 13-year-old Artemis manages to survive on his own�in fact, he flourishes, as he creates his own little world apart. And yet, it is the growing concern of total strangers that allows him to believe in himself, and humanity, in the end. By Tim McNeese Beneath the busy streets of New York City, the most populous urban center in America, lies the longest underground transportation system in the world. Its tunnels extend throughout all five boroughs to a combined length of 722 miles.